When selling your home the kitchen and bathrooms are two of the top selling points for buyers.The kitchen is the heart of the home and this room offers the most return on your investment.While the bathrooms, especially the master bath is looked at for its modern amenities, and functionality for the new home buyer.Here are some tips for staging your kitchen and bathrooms to attract the future owner’s of your home. Declutter your kitchen: In any room of your house the amount of clutter you can remove to reveal wide open space, and vision lines the better. In the kitchen remove all magnets, flyers, etc…from the refrigerator. On the counters remove as many small appliances as possible, without the counters looking empty. A rule of thumb, only leave a few decorative items that enhance the space. If you have a great looking stainless steel toaster, leave it out if it will make the countertop area look better. Remove all items that wouldn’t ‘belong’ in the kitchen. This means mail, bills, and children’s homework and baby toys! 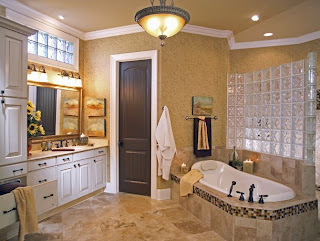 Make your bathroom feel like a spa: The bathroom is supposed to be a retreat area, as well as a place for bathing and renewal. 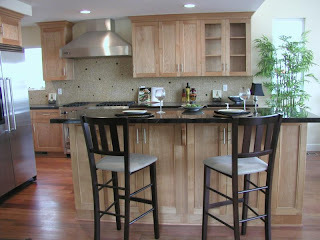 Remove all items from the countertops other than 1 or 2 decorative pieces. A few guest towels in a decorative basket may be all that’s needed. In a master bathroom remove all his and hers items. You never know what opinions buyers form about your home; instead leave everything unisex and simple. 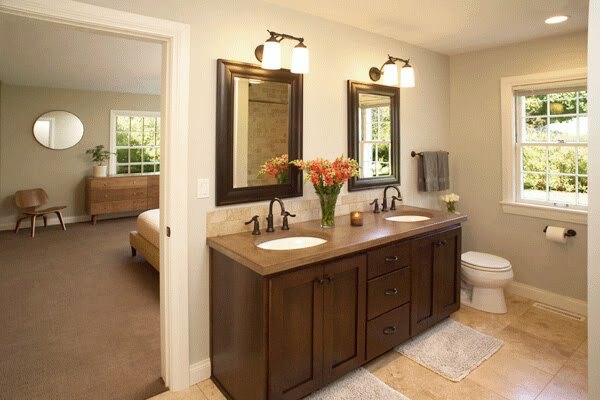 Make sure mirrors, floor, tub/shower are immaculately cleaned. Any one of these items dirty can be an instant turn off. Update as much as you can afford: Buyers are always interested in getting kitchens and bathrooms that have been updated. If your budget allows, appliances, countertops, flooring and lighting fixtures can boost your home’s worth and the appeal. If you can only afford to do minor updating consider painting walls, updating cabinet door pulls, fresh window treatments, and placing new kitchen/bath towels throughout. Don’t forget the lighting: Often times your home will be shown in the evening hours and your kitchen/bath needs to show just as beautifully as in the daytime. 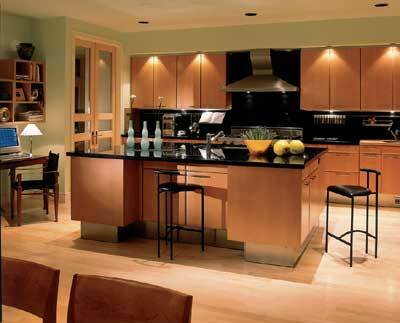 Make sure current lighting is working; fixtures offer task, and ambient lighting. Consider purchasing and installing additional fixtures or lamps if the rooms have dark areas in the room. In the kitchen, under counter lighting can make the difference in your kitchen being more functional and gorgeous! Appeal to their senses: Buying a home is an emotional experience, which is partly ruled by our senses. 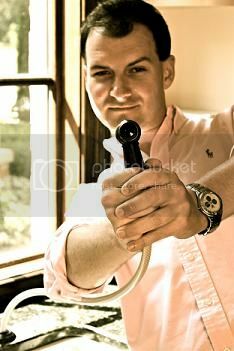 Clean your kitchen/bath the night before having a showing of your home. Cleaning products smell is an instant turn off when entering your home. Cookies, and warm bakery smells are the key to our wallets! De cluttering appeals to our vision, but also consider a vase of fresh flowers on the kitchen/bath countertop to further attract the eyes. Soft music playing and absence of pets and loud traffic outside should also be a focal point for staging your home. Open all blinds and window treatments to reveal views from any space in your home. The more you can make the buyer feel ‘at home’ the closer you are to a contract. 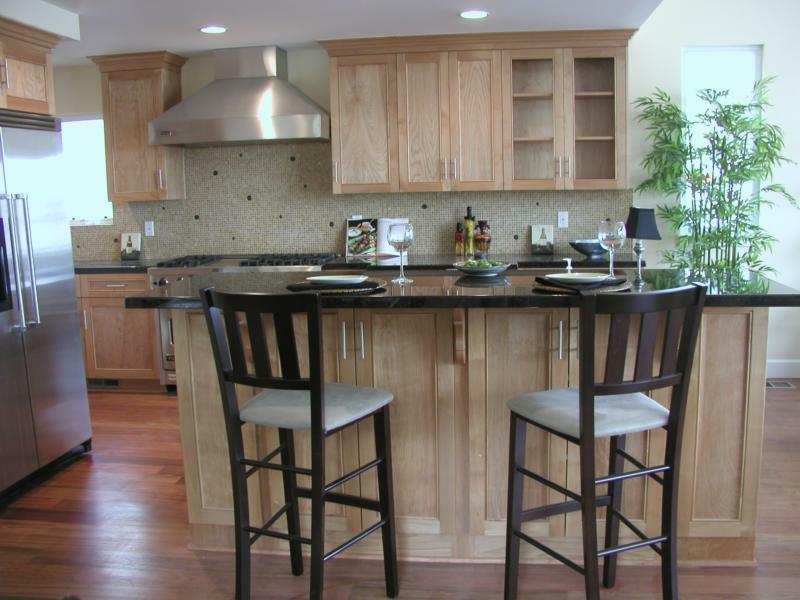 Your kitchen and bath areas can be staged to bring buyer appeal and interest. Consider using these tips when staging your home for photography, showings, and everyday use if possible. Remember, the day you leave your kitchen/bath untidy could be the day a potential buyer could be wowed by your home! Ronique Gibson is an Associate Architect and a LEED Accredited Professional, who has been in the design industry for over 12 years. Her home design service, Stagetecture, encompasses home staging, organization, décor, DIY projects, and helping those who love their homes! Ronique enjoys writing about family solutions, and making your home the best place it can be. *Nick's Note: I would personally like to give a HUGE thank you to Ronique- What a helpful post to anyone looking to give their home more appeal. Hopefully she will contribute to Cupboards Blog again in the future!